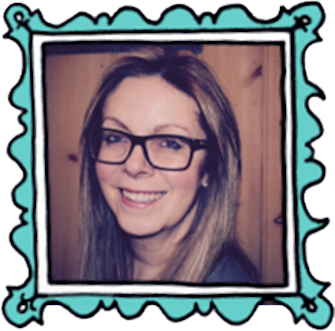 I am currently Leader of Learning for Early Years at Smithy Bridge Primary School, where I have worked since 1997. I have 25 years teaching experience, 21 of which have been in Early Years. This year I was also appointed as an Early Years SLE for Rochdale. In July 2014, our end of EYFS data identified a significant drop in our results for boys writing. 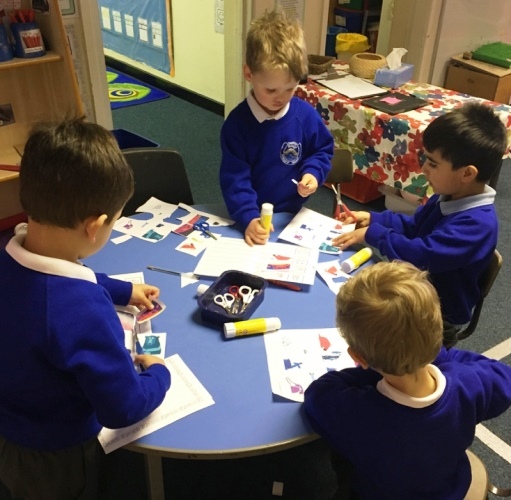 I introduced many interventions and strategies including fine motor interventions, ‘boy friendly’ topics, lots of opportunities for active mark making etc. 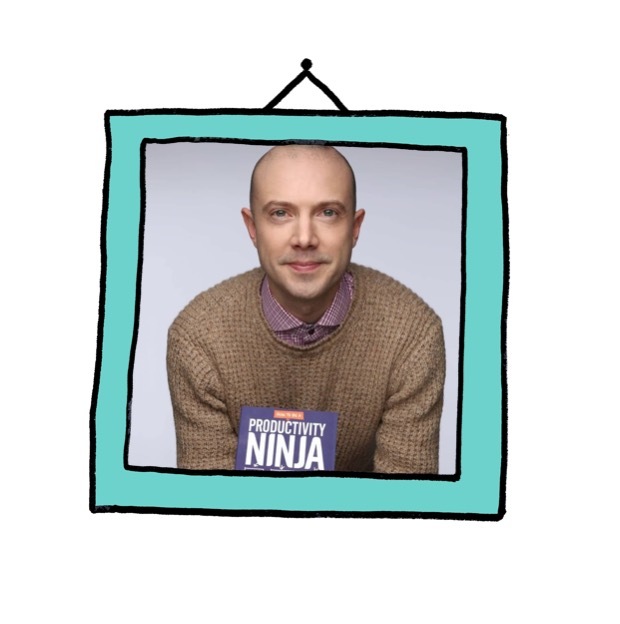 I implemented many ideas from Alistair Bryce Clegg’s training courses and his online blog. I was also part of a ‘Boys Achievement Project’ run by our local EY advisory team. All these things had impact but I was still searching for new ways of motivating and inspiring the children, especially the boys, to want to write, tell and create stories. In 2016 I discovered ‘Tales Toolkit’ on the internet, which was at the time, was still in early pilot stages. I immediately saw its huge potential. It was such a simple concept and yet so versatile. I loved how interactive and child led it was. That there were so many opportunities for including children’s interests. It was also important to me that it was research based and that there would be ongoing support from Kate herself, through expert webinars and opportunities for sharing with other colleagues via the forum and Facebook. It was fantastic that my whole team could be trained at the same time and that we all got to hear the same information together, rather than just one member of staff feeding back to the team. We were all inspired together to make Tales Toolkit a huge success at Smithy Bridge School. I begged Kate, the creator of Tales Toolkit, to let Smithy Bridge be one of the first to pilot her online training programme. We have never looked back! I can honestly say that in 25 years of teaching Tales Toolkit has had the biggest impact on my practice. I led the training with my Early Years Team, all of which have fully embraced TTK and have it embedded in their everyday practice. After our first year of using TTK, our data for 2016-2017 illustrated the huge impact TTK had (we had significant rise in our overall GLD, we had a much higher number of children reaching ‘exceeding’ levels in many areas of learning and the overall scores for our boys increased ). More importantly, was seeing children all over our setting choosing to write and being so excited about their stories. They were demonstrating a real ‘can do’ attitude which we had not seen before. They were so confident in their own abilities to create fabulous stories. Our children became innovative thinkers and creative problem solvers. The ways in which we use TTK at Smithy Bridge have gone from strength to strength, and staff are constantly striving to find new and innovative ways to use the resources. We are extremely proud of our successes in the Tales Toolkit competitions which have enabled us to purchase more of the fantastic resources with the vouchers we won. One area I have been really passionate about from the early days of using TTK has been to find ways to involve our families, both within our setting and so they can use TTK at home. We send story strips with photo prompts of the objects in the bags from our ‘big bag sessions’ for retelling at home. 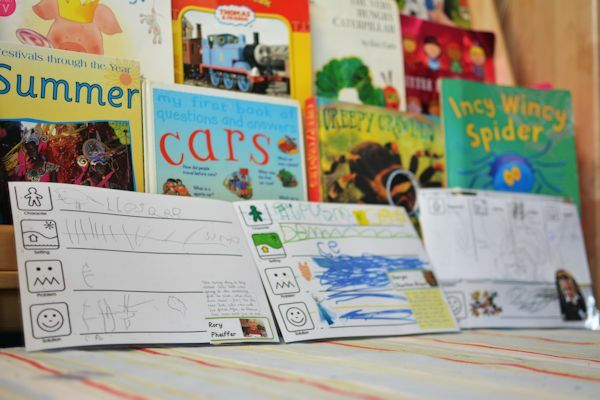 The staff love reading what the children recall from the stories once they go home. The stories returned to school are also a fantastic assessment of the children’s language skills, vocabulary used and use of story structure. The way the detail develops throughout the year is incredible. We also send home a shuffle book on a rota basis for children to use. This gives them much more time to explore all the different story combinations than is ever possible at school. 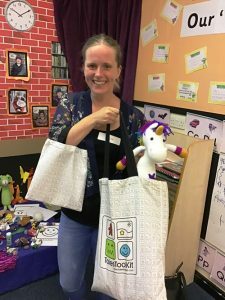 This year we invited parents to come and join in with our ‘big bag stories’ over a half term period. 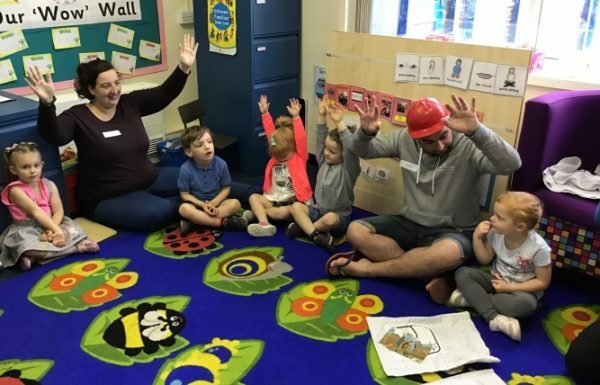 Parents said how much they enjoyed the opportunity to join in with our stories and how useful they found the sessions “I’ll take away some ideas such as using actions and songs to make it even more engaging. Would love to attend again!” and “I liked the way they could all join in by using actions, even if they didn’t want to answer verbally. 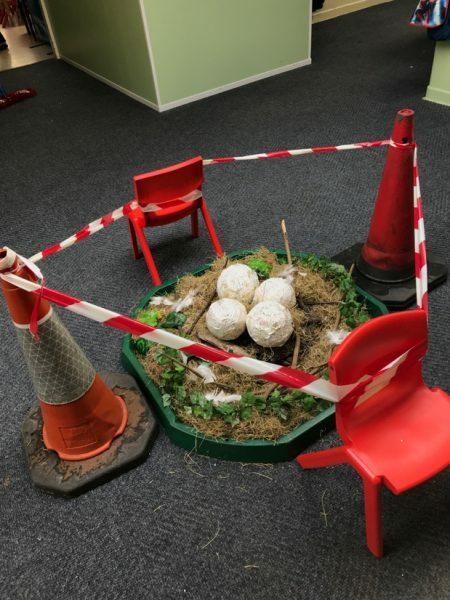 I was amazed by all the details the teacher coaxed out of the children”. At the end of this year Kate put together 3 sessions of online ‘Parent Training’ for me to trial and I also incorporated a loan library of resources for families to use inbetween the training sessions. Just like the staff online training it was really easy to deliver with minimal preparation. The feedback received from the participants was really positive. 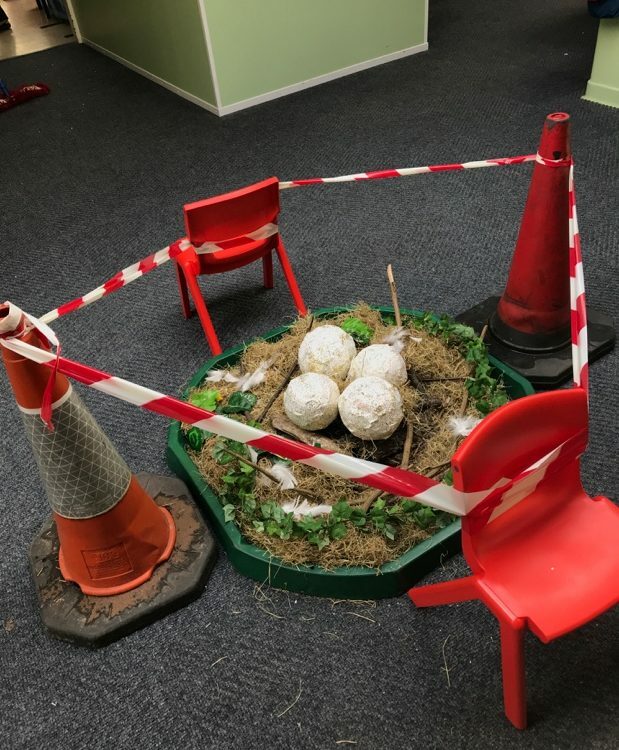 One parent said “After doing TTK for the Nursery year, I wasn’t sure how much more there would be to learn from the session but there was loads! So glad I came – really informative”. The parents also fed back about things they had put into practice from each session. Finally, at the end of the school year, I invited the parents and children that had done the training sessions with me to create a story for the TTK Summer competition. They were amazing and put everything they had learnt into practice ….and WON! I also thoroughly enjoyed using TTK to form further links and new ways of working with parents. In the new school year, I would like to continue with the above but feel it would be more beneficial to the children and the families, if the parents big bag story sessions and the parents training happen earlier in the year. This was also mentioned by the parents themselves. I think January would work well in our setting. 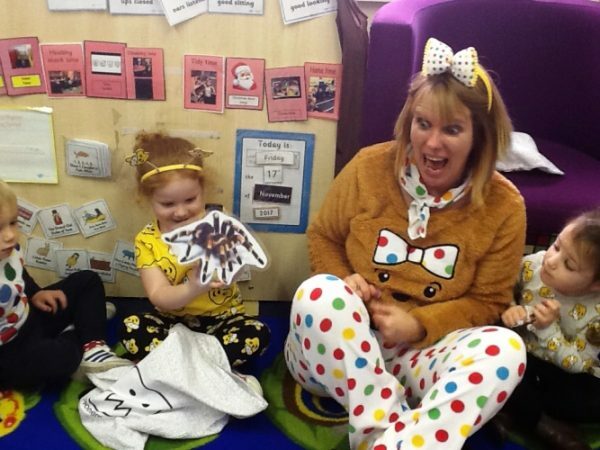 As you can see, we are extremely passionate about Tales Toolkit at Smithy Bridge School. We have seen the huge difference it has made to our children. Developing opportunities to involve our families has made this impact even more significant. We are excited about developing links with our new families in September. Future plans for TTK at Smithy Bridge include linking with other schools. We would love to link via Skype, for shared story making. We had a great time giving this a go with Kate recently, but we think it would be lots of fun between 2 classes so please get in touch if you are interested.